Is it really a surprise that the 2014 NFL season is closing with a scandal? A (quasi) scientific view of the past 12 months shows why Roger Goodell is at the heart of it—and why the NFL will never regain its integrity as long as he is top dog. Consider it karma, or just deserts, that the Super Bowl was tarnished two weeks before it was even played. Good. Despite my love for the NFL, any organization that is OK with Roger Goodell as its representative deserves to be embarrassed on the biggest stage. The Lombardi trophy will be soiled the moment the “Conduct Commissioner” takes it in his hands, and won’t that raise eyebrows if he’s handing it to Robert Kraft? Chaos theory explains why it’s so important when a defensive back “loses a step,” why wide receivers spend so much time perfecting their breaks and why quarterbacks look off safeties. If a defender is one step out of position or takes a bad angle, the distance between them and the ball carrier increases exponentially as the play develops. And that’s why the Patriots would tamper with the pounds per square inch (psi) of their game balls. It is, after all, a game of inches. Now, how does this relate to Goodell? Organizational implosion doesn’t happen all at once, and the NFL’s credibility didn’t, er, deflate overnight. Through years of secrecy, scandal and shooting his own foot, Goodell has created a culture in which even level-headed pundits and players are questioning the integrity of the games. The Patriots were caught cheating once before and received a slap on the wrist. Roger Goodell is, at best, a bumbling child-king and, more likely, a deceitful, furtive corporate shill who is sacrificing the future of the sport for the short-term benefit of himself and his cronies. We see in Goodell the Wall Street svengalis who crashed the global economy, made off with the dough and left the rest of us holding the bag. 2006: Goodell succeeds the popular Paul Tagliabue, under whose stewardship the league experienced unprecedented labor peace, expansion and economic growth, with team values quadrupling during his tenure. 2008 – 2009: Goodell prioritizes cracking down on touchdown celebrations and DUIs, rather than improving player safety or getting up-to-date with concussion research. 2010: Goodell awards the opening game at MetLife Stadium to the New York Giants over the New York Jets. This is decided by a secret coin toss in Goodell’s office—so secret that the Jets don’t even know about it. No team officials are present, and Jets’ owner, Woody Johnson, is critical of the commissioner. Due to Goodell’s friendship with the Mara family (which owns the Giants) it is speculated that he simply gifted the honor to his buddy. Did an actual coin toss occur? We’ll never know. I guess they could have videotaped it for proof, but Goodell would’ve just destroyed the tapes anyway. 2011: For the first time in a generation, there is an NFL work stoppage. Goodell cancels the Hall of Fame game, the first contest missed due to a labor dispute since the Reagan administration. 2012: Bountygate. Goodell imposes severe punishments on the New Orleans Saints for allegedly running a bounty system. As with the Jets/Giants coin toss, it is believed that the disparity in punishment between the Patriots and the Saints is due to Goodell being chummier with Kraft than he is with Saints’ owner Tom Benson. Goodell is later rebuked by his predecessor when his player suspensions are overturned by Tagliabue. 2012 (later that year): Replacement Refs. Goodell locks out the referees, utilizing lower-grade officials culminating in the infamous Fail Mary. You’re doing a helluva job, Rog. 2013: Following years of denial, the NFL and Goodell settle a concussion lawsuit with former players. 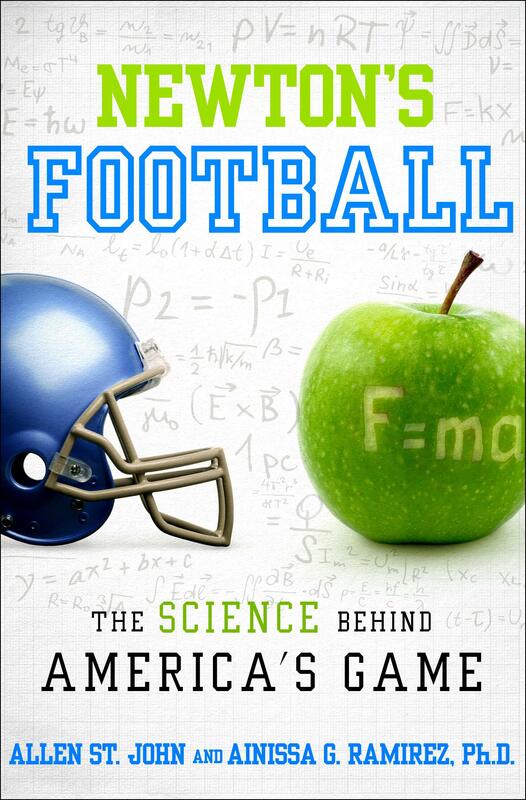 League of Denial (the book and PBS Frontline documentary) exposes the NFL’s attempts to deny and quell scientific research it deemed detrimental to its financial interests, going so far as to fund its own research with questionable validity. ESPN, a partner with PBS on the documentary, stands by its reporting but backs out of the project just before it airs. It is believed that ESPN did so under pressure from the NFL, a network partner. Despite claiming he is committed to increasing player safety, Roger the Truth Dodger continues to push to extend the season to 18 games. 2014: Somehow, Goodell is able to make himself less likable, less believable and less sympathetic than Ray Rice, who was caught on video punching his future wife. Goodell inexplicably (and indefensibly) levies a mere two-game suspension on Rice (again, chatter emerges suggesting the soft punishment is due to his coziness with Ravens ownership). After TMZ shows greater interest in acquiring the interior elevator footage, Goodell claims that Rice misled him, when in fact most believe that it’s Goodell who is lying. This suspicion is confirmed when a federal judge overturns the Rice suspension, believing the abuser’s story over Goodell’s. Somehow, even after being deemed a liar by a federal judge, Goodell keeps his job. Oh, and along the way, head of officiating, Dean Blandino, is photographed exiting the Dallas Cowboys party bus (stay tuned). 2015: The Blandino photo takes on increased significance when a critical penalty flag against Dallas is mysteriously picked up with no official explanation during a playoff game against Detroit. Then, after the public outcry, Dallas is victimized the following week by a replay overturn of an apparent catch. Was the league balancing the scales? We were still addressing that controversy when we’re hit with Deflate-gate. Not all of this is Goodell’s fault, of course, but for $44 million a year, his job is not to duck the blame, but to be a leader. Yet in the thick of the Ray Rice scandal, Goodell was MIA, and when he did make an appearance, he made things worse. As a result, when the league went into crisis mode, the NFL’s strategy was to hide its leader in a metaphorical bunker. Seems to me that during a crisis would be the ideal time for a leader (especially one making $44 mil) to step up and, well, lead. It’s not good enough to say that you didn’t know. After all, Rog, didn’t you pronounce, while castigating Saints head coach Sean Payton, “Ignorance is no excuse”? The second troubling thing is that Sherman is not only saying what everyone is thinking, but that the NFL isn’t rushing to respond. If the NFL had even a sliver of moral high ground left, they would come down hard on a player that publicly accuses the boss of foul play, calling into question the integrity of the entire league a week before its biggest event. But the league no longer has that sliver of moral high ground. They no longer have that benefit of the doubt. Goodell hasn’t punished Sherman because he knows it will make him look even more foolish. He will be hesitant to punish Kraft because Rog knows he still has a job only because of Kraft. Call it karma. I call it chaos theory. Roger Goodell was out of position from the day he took over the reins of the NFL. Little by little, his actions have chipped away at the integrity of the league, each misstep or act of malfeasance affecting the initial conditions to significant effect. This is the NFL’s lost season. It started ugly. It will end ugly. As much as I love the game, I’m rooting for total implosion on Super Bowl Sunday. Blow it up so we can finally get rid of Goodell and give his job to a true and qualified leader. Let it end like this: Roger Goodell on the podium, handing the Lombardi trophy to Kraft, shaking hands with a victorious Bill Belichick, slapping the shoulder pads of a grinning Tom Brady, the asterisk on his career as visible as the eye black smeared over his perfect cheekbones. It would be a predictable end to a chaotic season. Afterward, if he has even an ounce of integrity, Goodell will do what he should have done months ago: resign quietly and restore dignity to the shield.